A member of the Nautical Institute, Captain Christopher Hearn began his nautical career in 1994 after graduating from the Marine Institute’s Nautical Science Program. He quickly moved his way through the marine ranks advancing to Master Mariner and obtaining a command in less than ten years. With a total of 15 years at sea, his career has afforded him experiences working with companies of various operations including Offshore Drilling, Seismic Survey, Ice Breaking, General Cargo, Crude Oil, and Clean Products Tankers, Tugs, Cable ships, and RO-RO Container positions. Coming ashore as a Marine Superintendent and Designated Person Ashore with Canadian and foreign companies, Captain Hearn was engaged in subsea cable laying and repair, seismic work, general cargo operations, resolving issues dealing with Flag and Class, consulting with P & I and hull and machinery insurers, and establishing ISM and ISPS apparatus on vessels. 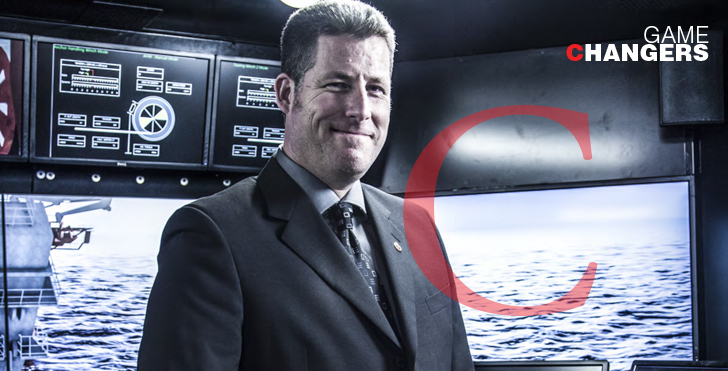 Captain Hearn returned to the Marine Institute in 2009 as the Director of the Centre for Marine Simulation. The Centre is the largest and most comprehensive marine simulation facility in Canada and covers an entire range of training, educational, and research and development capabilities through the use of simulation technology. Today, as Director, Captain Hearn works with maritime and offshore industries to mitigate the risk of accidents, to accelerate training and improve performance, and to test new equipment design and procedures. CMS’s particular areas of expertise include the modelling and simulation of harsh maritime environments, human performance in moving environments, simulation of offshore oil and gas operations, and operational risk analysis. Captain Hearn also serves as the Divisional Master of the Newfoundland and Labrador Division of the Company of Master Mariners of Canada, The Deputy National Master of the Company of Master Mariners, and is a Member of the Nautical Institute. 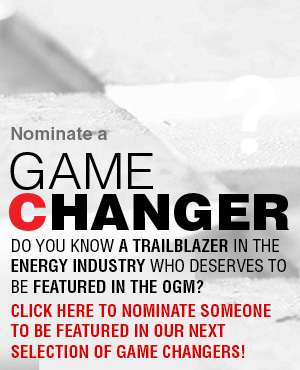 Speaking to his international experience, he also sits as a board member of Irish Maritime and Energy Cluster. On June 15th, The Centre for Marine Simulation (CMS) will gather with local, national, and international offshore and marine industry representatives to mark the grand opening of the Hibernia Offshore Operations Simulator. The new technology complements the range-of-motion capable ship and operational simulators at CMS, and it adds a new element in terms of its ability to represent the specialist vessels servicing the oil exploration and production operations. Representing the latest in simulation capacity with an advanced numerical and physics engine capable of representing the varying forces involved in close platform supply, deep water anchor handling, and rig or ice berg towing, the technology will be used in the supply of training and operational assessment projects. The Hibernia Offshore Operations Simulator represents some three years of planning, development, and construction and is funded through public and industry sources led by the Hibernia Management Company. As an industrial response unit of the Marine Institute, the Centre for Marine Simulation represents the largest and most comprehensive suite of marine simulation capacity in Canada. Consisting of 23 simulators ranging from 20-ton motion-capable ships’ bridges to desktop equipment, the center provides training and industrial response services, and it facilitates applied research for marine and offshore operations in harsh and challenging conditions. The center has its own development staff specializing in the design of hydrodynamic ship models, geographic databases, and programming to allow for specific training to be developed for clients. Specializing in ice navigation and operations in ice, the facility is currently involved in $10 million in research worth its collaborations, investigating technology to assist in exploration for hydrocarbon in ice covered waters. Spread the word about Chris Hearn!